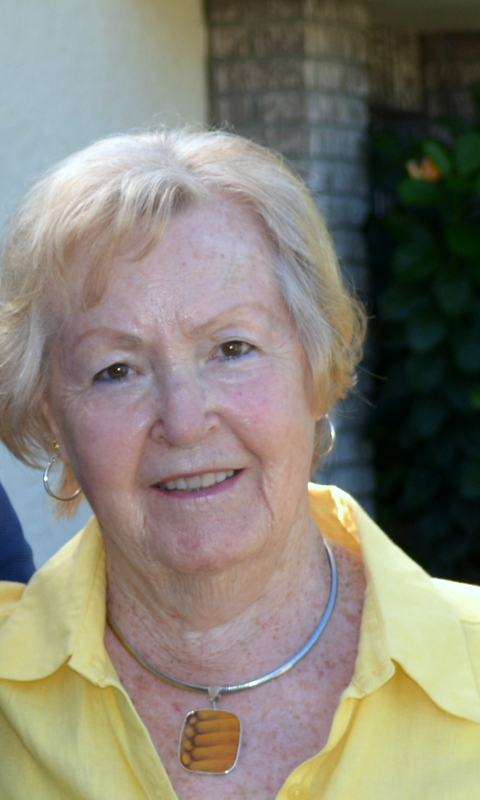 Christine “Christel” Emmerich, 89, of Springville, Pa. died on Wednesday, Mar. 27, 2019, at The Gardens of Tunkhannock where she was rehabbing from a recent hospital stay. Christine was born in Bad Godesberg Germany. In June 1952 she and her husband, Rudolf H. “Rudi” Emmerich and their 9 month old son emigrated to America. With no jobs and no place to live they came to Chicago, Illinois to pursue their version of the “American Dream”. Within a short time they were both gainfully employed…she as a seamstress and Rudi as a bookkeeper. She later found work as a furrier and eventually started her own business altering and repairing fur and leather coats. She and Rudi moved to Beverly Hills Fl. where they built their “dream house”. 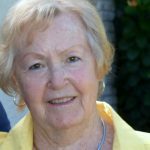 She lived in Beverly Hills until April 2017 when she came to live with her son and daughter in law in Springville PA.
Christine and Rudi were very active in the German American Social Club of Beverly Hills for almost 25 years. They met some of their closest friends in the club and had a very active social life. She enjoyed travel and especially cruising. She was an elegant woman who would not be seen in public without proper attire complete with jewelry. She was fun loving and always moved fast. In addition to her husband, Christine was preceded in death by her mother, Anna Schmitz, sister, Resi Schwingen, brother in law, Bernard Schwingen and sister in law, Katie Kreutzer. Survivors include; son, Eric Emmerich and his wife Robin, of Springville, PA; grandson Tyler D. Emmerich and his wife Irina of Springville PA and granddaughter Devon Christine Pluchino and husband Mark of Marlborough, MA, great grandchildren; Elise Mae and Ava Christine Emmerich. Her special nieces were Dagmar Jaeger in Bonn, Germany, Monika Hubbel of Bonn, Germany, Janet Kelly of Ottawa, Canada, Kim Pirhonen of Burlington, Ontario, Helen Cameron of Chicago IL., Anna Maria Kreuzer of Michigan City IN, and Nephew Wilhelm Kreuzer of Naperville IL. Also surviving is brother in law Willie Kreuzer of Michigan City, IN and her very close cousin Annemie Emmerich of Burlington Ontario. Memorial services will be private and at the convenience of the family. A note of thanks to the staff at the Gardens and especially to Physical Therapist extraordinaire, Noel McFadden, who’s kindness will not be forgotten.